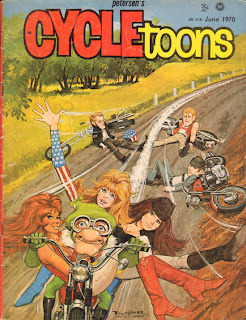 An oldie with a sing-a-long. Two ads. 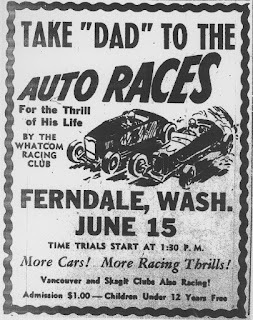 One for Mission Raceway and the other for dune buggies on Annacis Island. 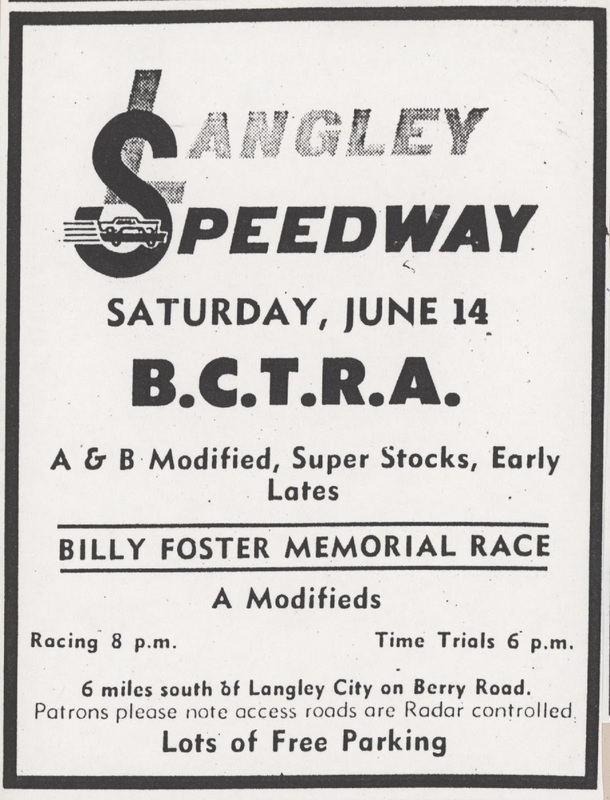 Another regular Saturday night of racing at Langley. Not from this night but I like the photos. Wish I could find better copies. Lap one, turn 2: Alex Praisley out after a crash with Hemrich and Hankins. Lap 7 -- Rollie Walker spun into Dennis Lester. Mac Morrison and John Rothwell crashed lap 8. Lap 10 -- Bill Hunt hit Wes Henham broadside. Godfrey in close race with Hemrich. Four lead changes. Godfrey back after after blowing his engine last week. And a rebuild of his car from an earlier crash. Len Barcelo out for first time with 289 Ford A modified. Was leading in main but penalized for an infraction. 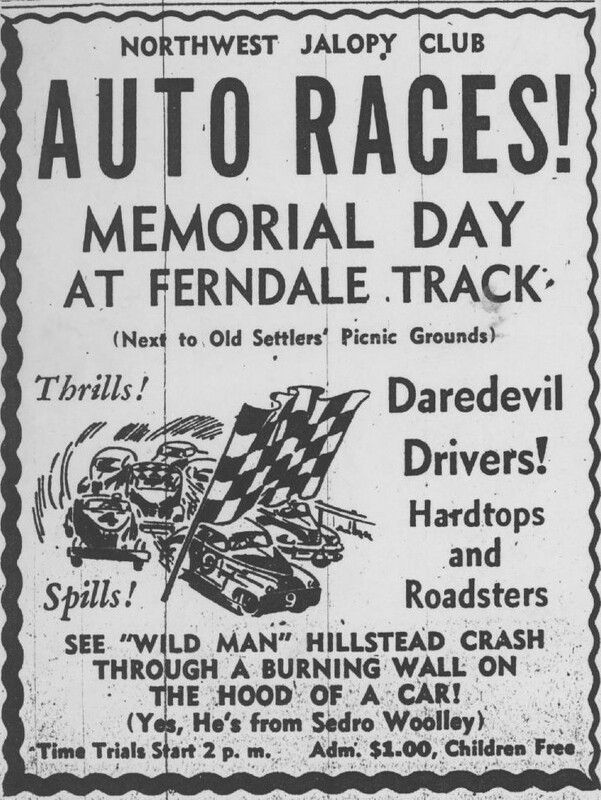 Dennis Wooden, A modified, steering broke in turn 2 and ended up through and over the fence into the ravine. Dennis bruised but okay. Jim MacMillan to be out with Z-28 powered A modified. 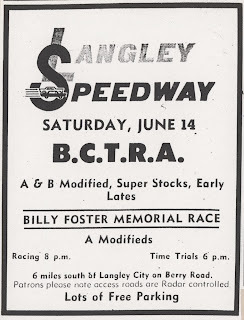 The third annual Billy Foster Memorial race. Jack Cross with new “A” upright. Len Barcelo with a new Ford powered “A”. Ted Glawson repaired after a wreck two weeks ago. Jim MacMillan bought Gary Destobel’s “A” modified. Destobel crashed in Edmonton and was hospitalized for 13 weeks. 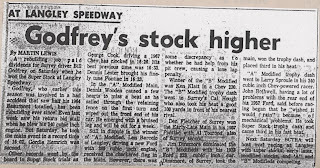 Super stocks -- Rich Goodwin rolled over this night? 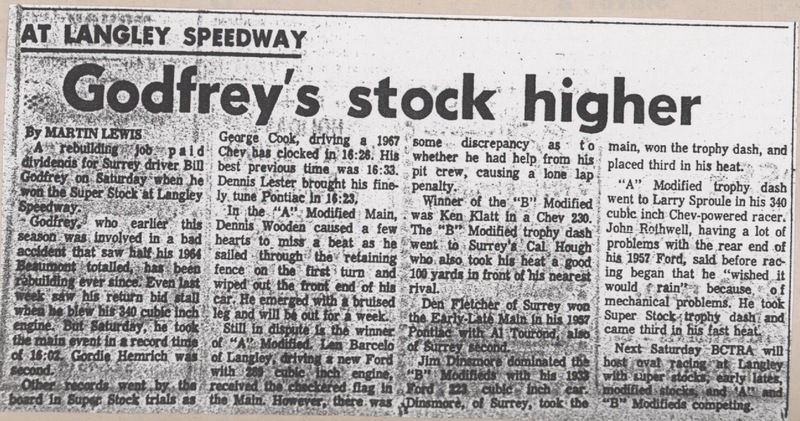 Continuing with the 1969 season at Langley. 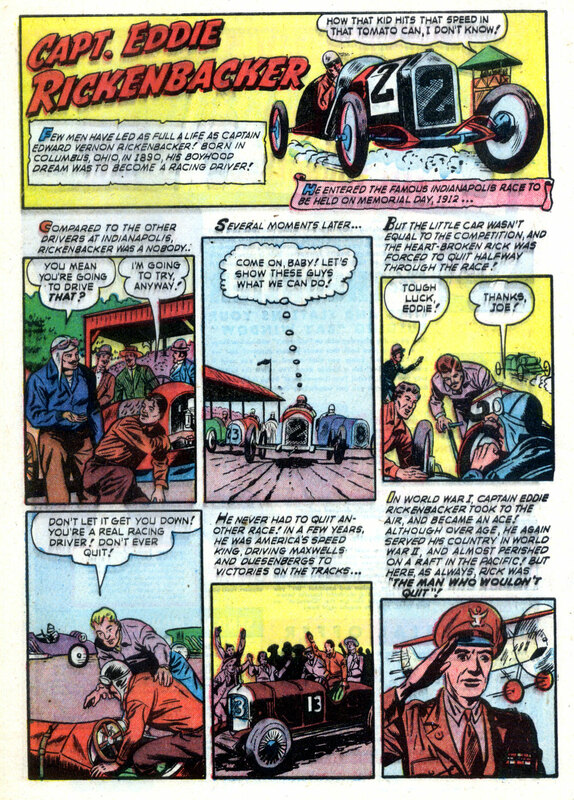 Fred Bruce crashed into the fence. Lap one -- seven cars crashed. Two out. 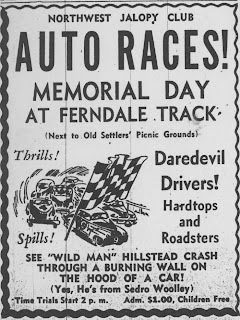 Lap 7 -- Terry Keeler spun. Lou Ferguson hit him head on. Both out. 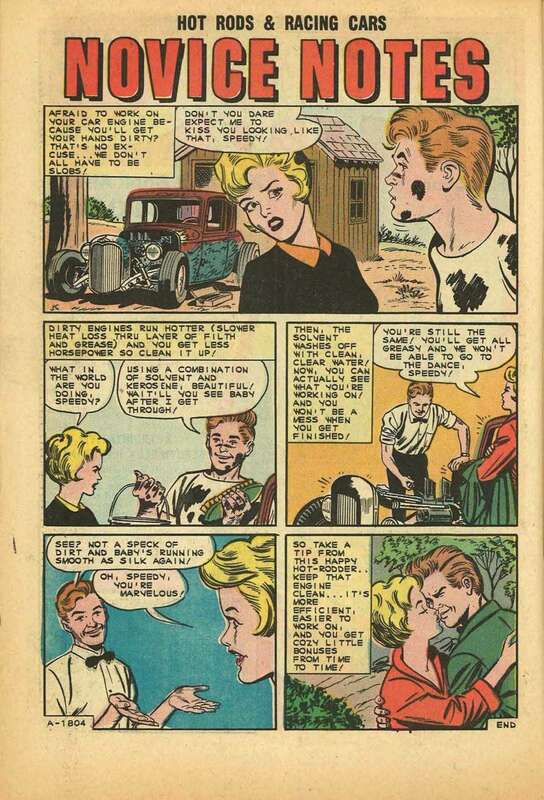 A little bit of history from a 1952 comic. 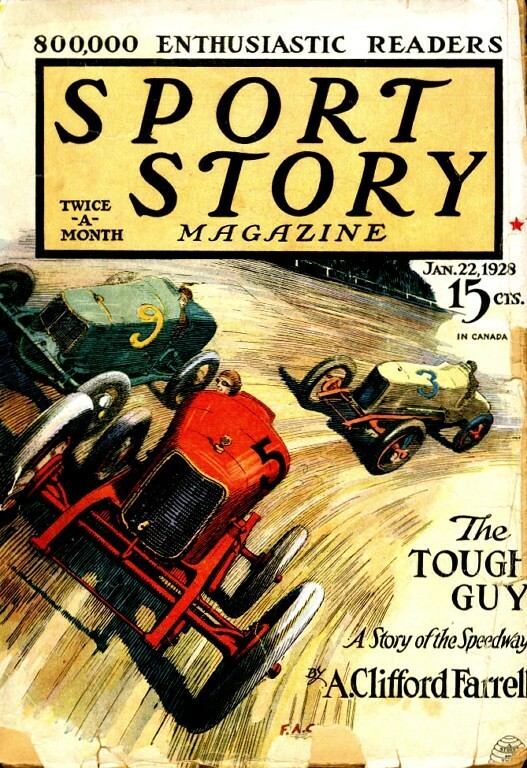 This page is about Eddie Rickenbacker. Another obscure rockin' little tune. First Saturday event of the season. 50 cars in the pits. John Rothwell and Dennis Lester got together. Rich Goodwin and Bill Godfrey tangled. Goodwin rolled. Also ran -- Tom Hankins. The scheduled Friday, May 24, 1969 CAMRA race was rained out. But the regular weekly schedule with CORA and LARA got into the books. Next race was another Sunday afternoon event featuring the CORA super stocks and the LARA early-lates and modified stocks. 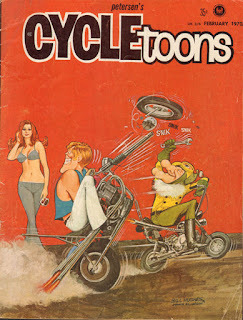 Also ran: Wes Henham, Bill Hunt, and Ken Sayers. 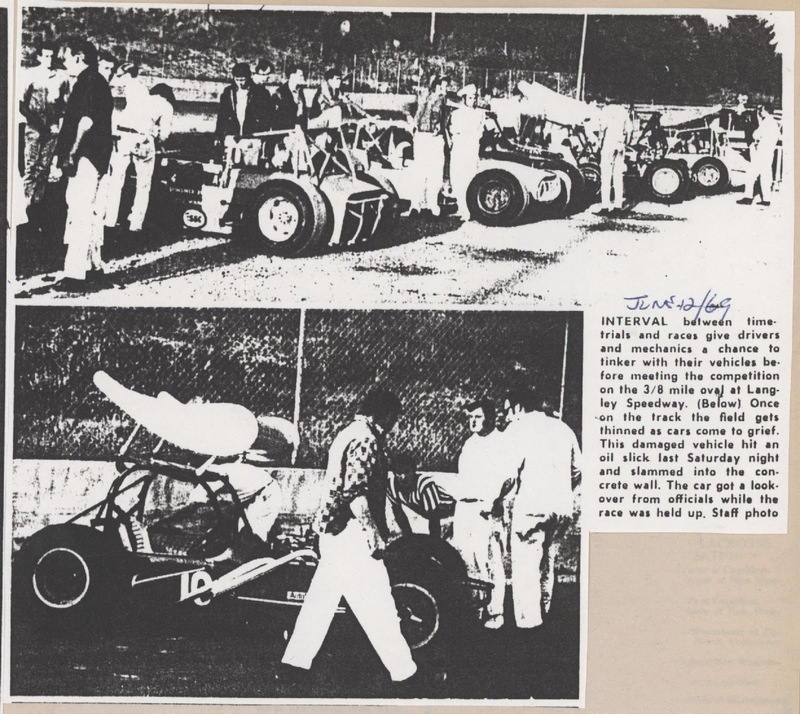 Lap 3 -- Frank Waters, John Kowaliuk, Don Warner and Dale McCartney tangled. Dale out. 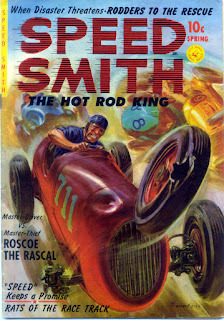 Lap 12 -- Red flag for Gerard McHale’s car (Studebaker) catching fire. A new season to get through. 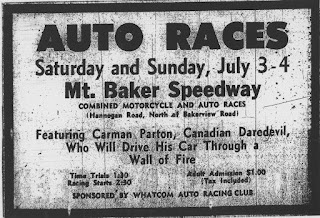 The Early-Late Racing Association (ELRA) becomes the Canadian Oval Racing Association (CORA). Other than that it's business as usual. 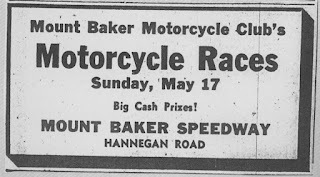 The first date (Sunday, May 4, 1969) was called due to weather. 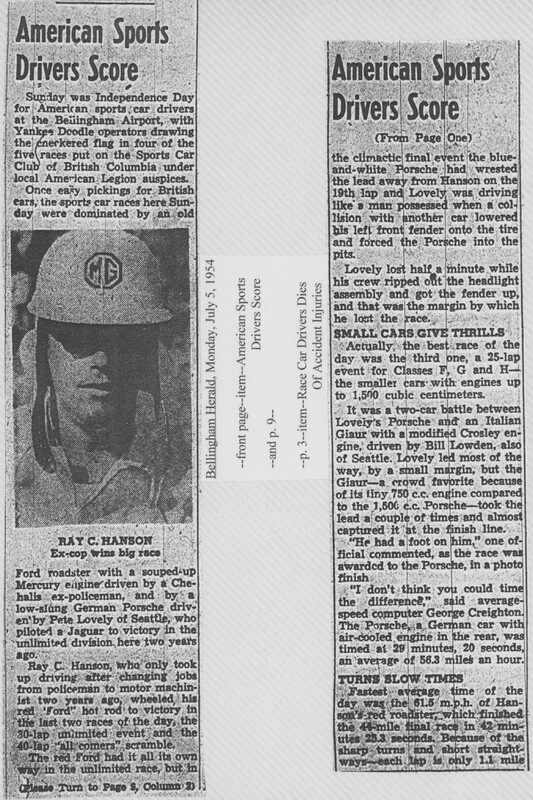 So opening days was Sunday, May 11, 1969. Trophies presented by Rodeo Princesses Carol Walker and Mary-Ellen Faulks along with Buddy Knox. 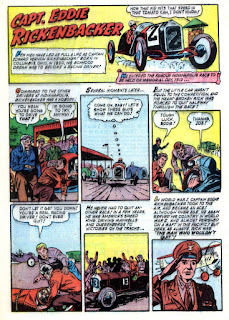 Cal Arnold’s throttle stuck. He hit the fence at over 100 mph. 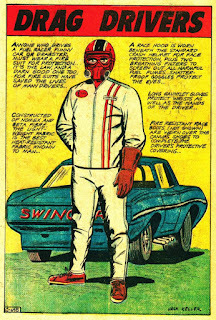 Cal was okay but the front of the car not. 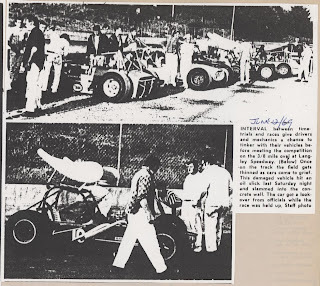 Lap 3 -- Al Hewer, Larry Lodge, Bob Thomas, Lou Ferguson and Merv Meyers piled up. Lap 9 -- Frank Fletcher and Lou Ferguson head on after Lou spun. Both out. 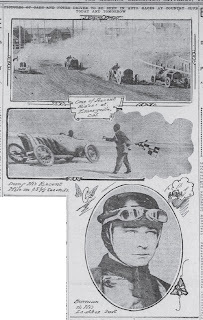 The results from the three days of racing along with a wiki picture of the Jay-Eye-See race car with Louis Disbrow at the wheel. 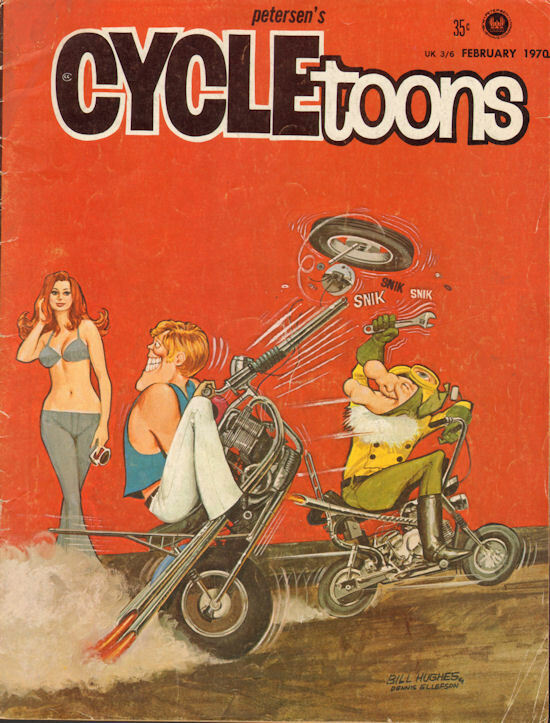 If I had a wayback machine I'd waste a trip gathering up old comics like Dragtoons and Cartoons and Cycletoons. Rather than change or influence history I'd just want to gather it up. "The Old Poop" cracked me up. Apparently this guy has a right wing rep. 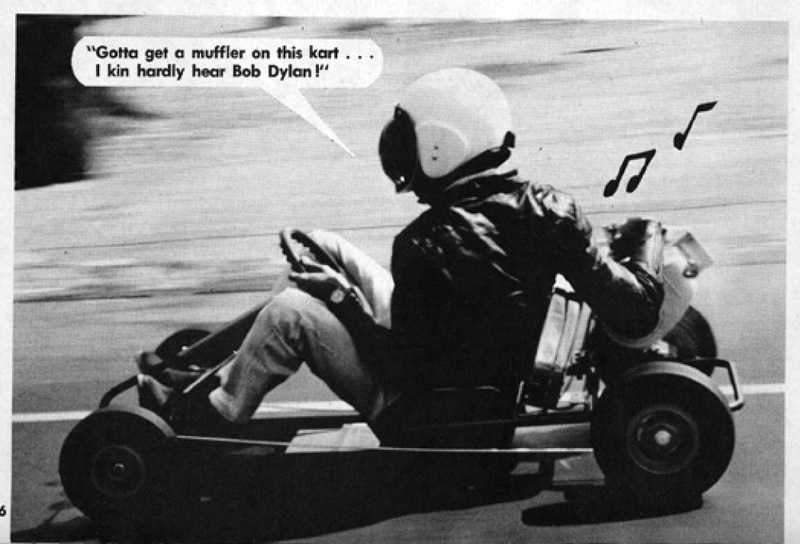 He should have stuck with hot rod tunes. This is reasonably entertaining. 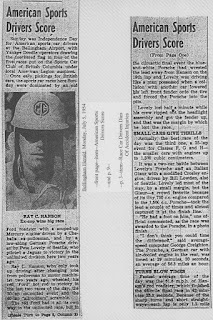 A question came up about early racing in Montreal. 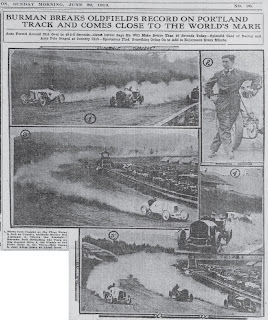 While I have looked at a few races there back in 1918 I've just come across one in 1912. 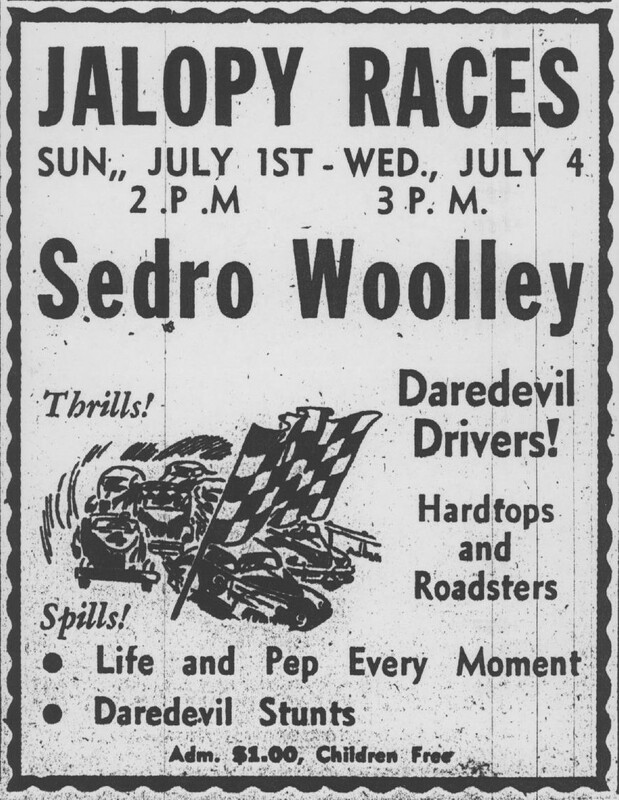 Louis Disbrow and Bill Endicott headed a traveling group of racers that spent three days racing at Montreal's Delorimier Park. Getting more methodical in my looking at the online Vancouver Sun. Found some items I hadn't seen before. One a reliability run, the other a drag race. 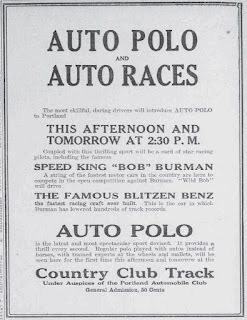 An ad and results for the Van-Man-Van rally. 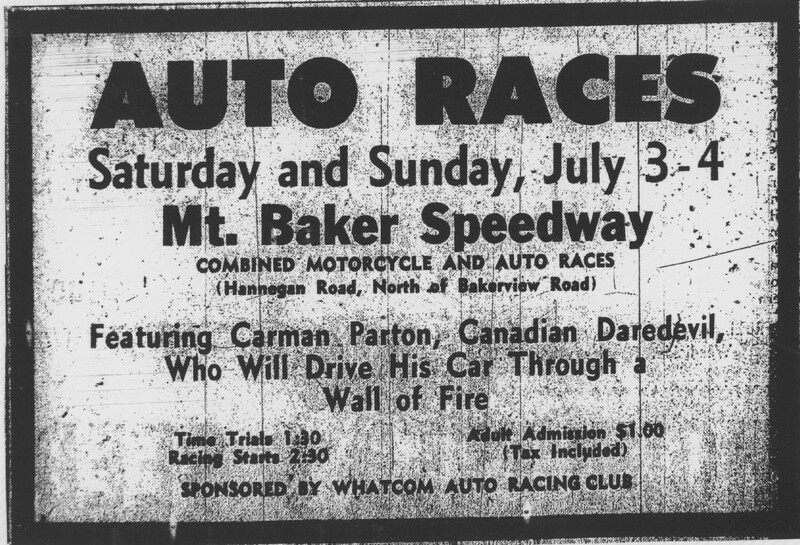 Carman Parton raced in Saskatchewan, then on the coast at Digney and Langley Speedways. He is a Pioneer in the GVMPS. 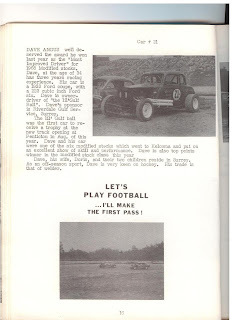 Labour Day 1954, the start of the long standing track. 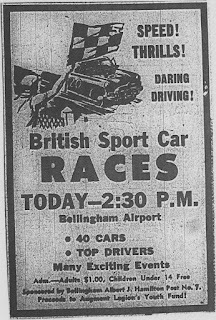 Actually there were a few sports car races at Bellingham Airport. Most were sanctioned by the SCCBC. "Sanitary" in more ways than one. 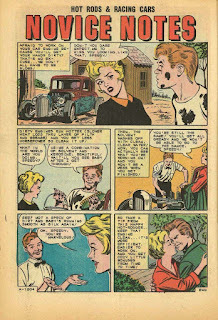 This song has a lot of Eddie Cochran motoring around in it so that makes it pretty dern good. 1953 information. 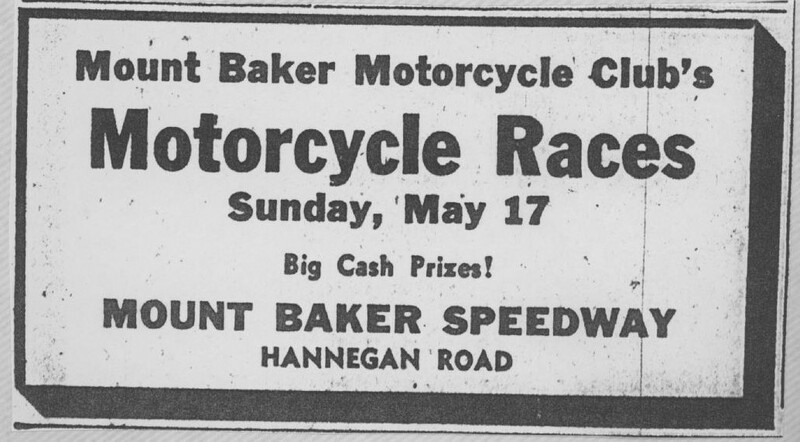 I don't know if the Hannegan track is the same as the one still in operation. Probably. 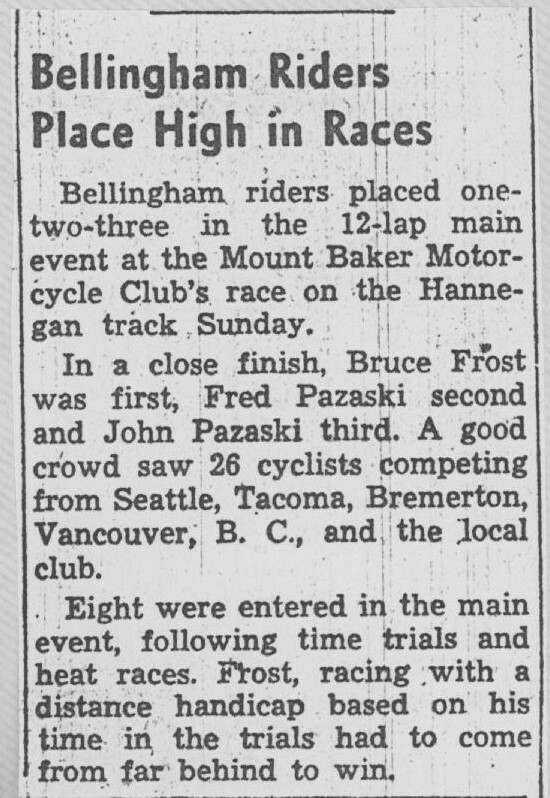 Fred and John Pazaski are important names in the local motorcycle world. Fred Pazaski is a Pioneer in the GVMPS. 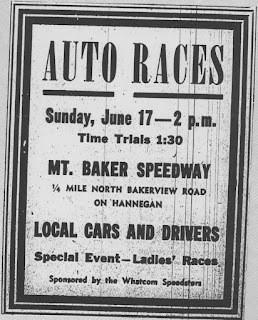 There was a regular schedule of racing in the area. Not sure if a champion was declared or how all that worked. Hopefully everyone just had fun. 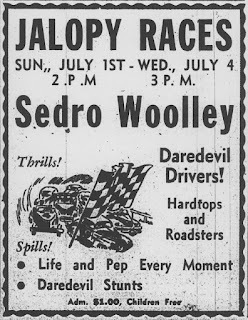 Here's some stuff from 1952. 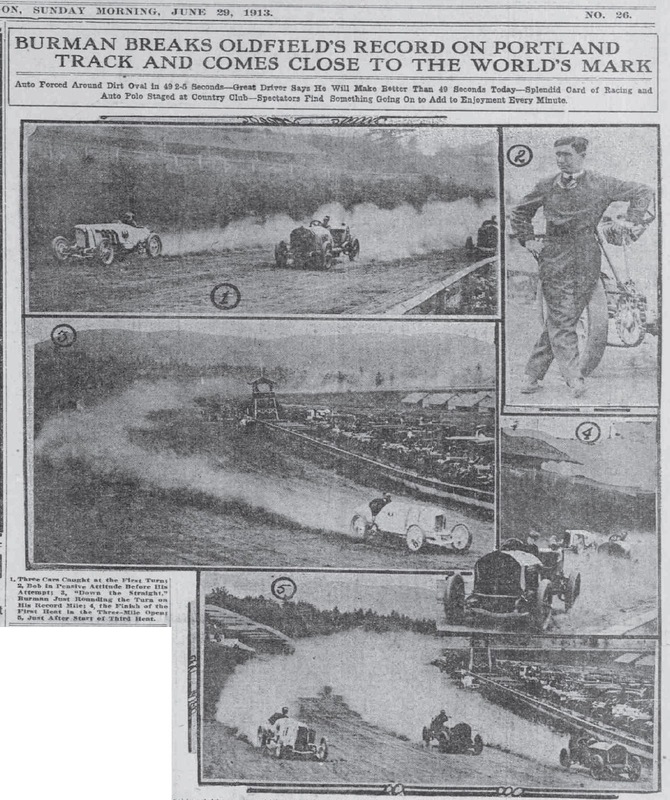 The ad and results of the race. 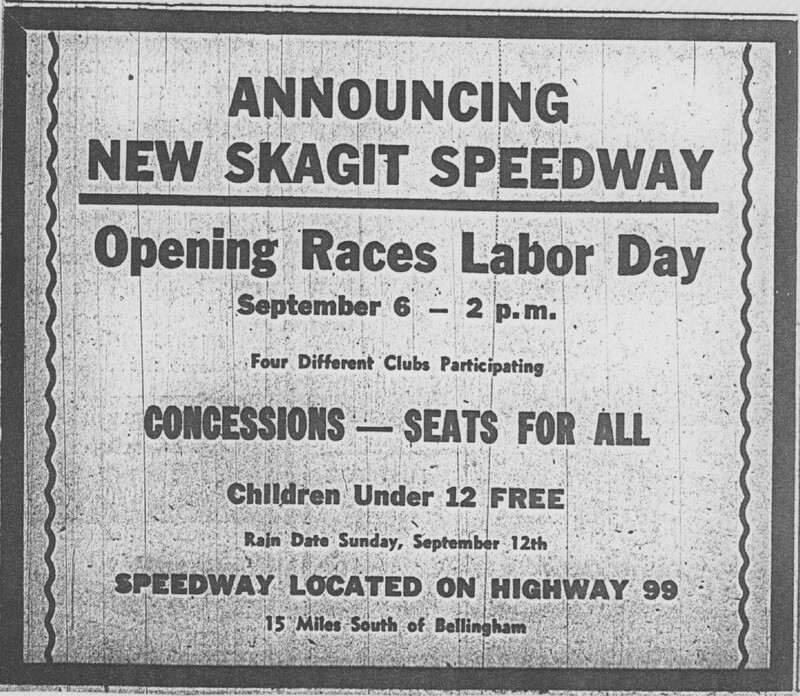 Jim Raper went on to run Skagit Speedway up until his death in the mid-1980s. 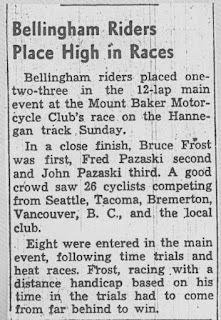 A thread on the HAMB forum reminded me I'd done a little looking at the Bellingham Herald from the early 1950s. I'll post a few things the next few days. 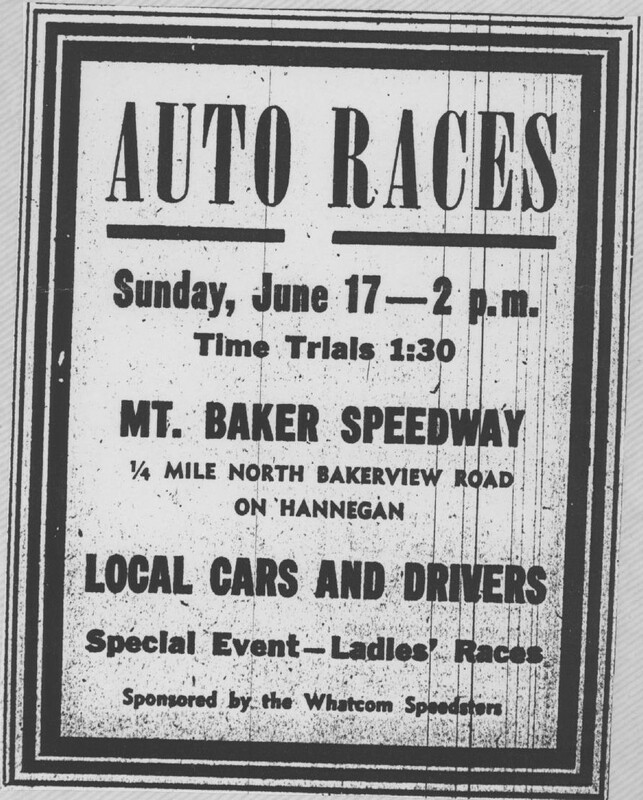 Three different locations for racing in 1951. 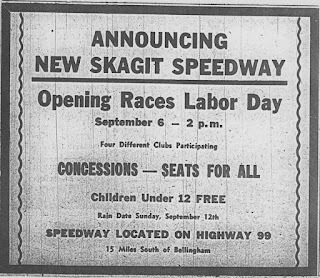 I remember Art Hillstead's name from his involvement at Skagit Speedway. Action shots from one day of Bob Burman's races in Portland. In the style of The Shangrilas, here's Ronnie and Lynda. Another wreck. Another song. 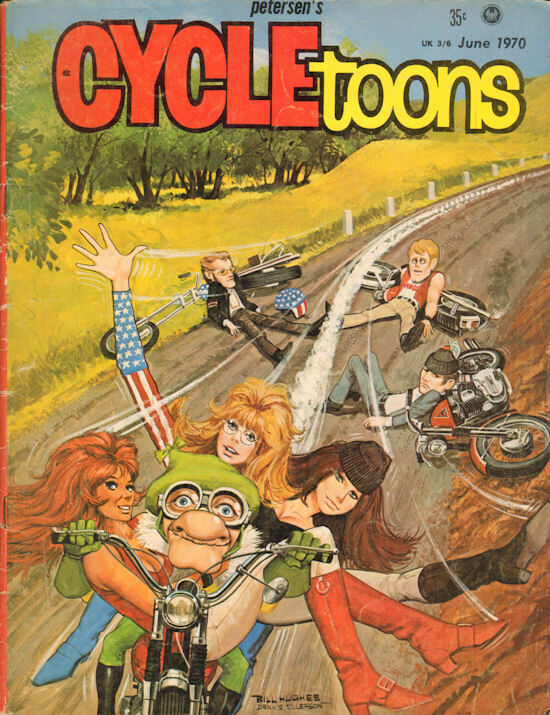 I suppose file it under "so bad it's good". Maybe you'll disagree on the "good and bad" designations. 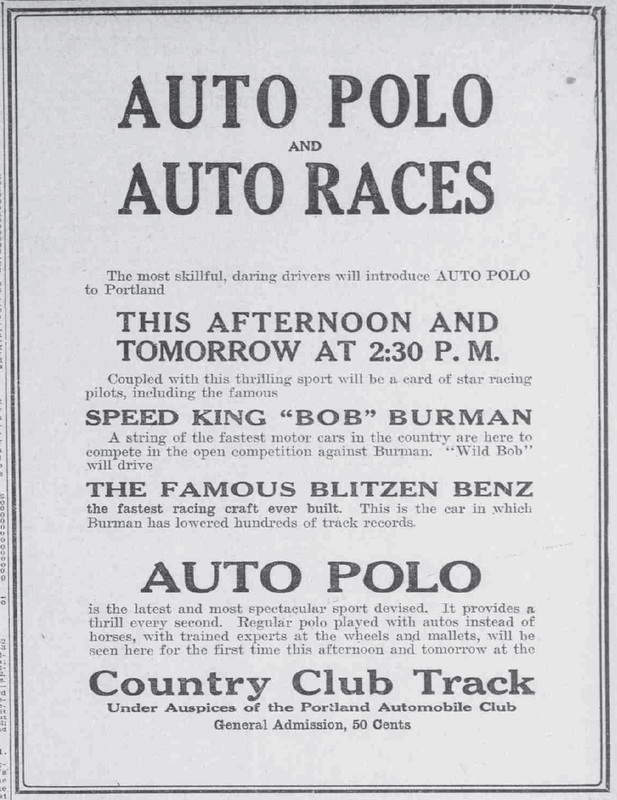 I've covered Burman's exploits up in Vancouver, BC, elsewhere. 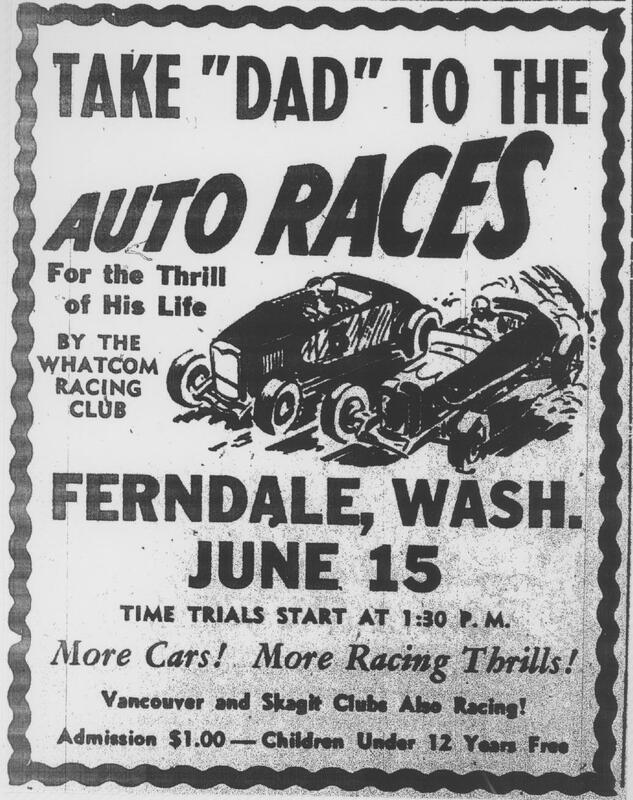 He was in the northwest for the AAA race at Tacoma. And then I suppose his manager got him involved in other races/exhibitions to make some money.